Mary and Keelan went 42 weeks before meeting this miracle baby. But that doesn’t even compare to how long they waited to know one was on the way. They called this unknown gender baby “baby bacon”. As previous vegetarians they we're encouraged by their fertility doctor to try the Keto diet before starting treatment. After a month, they were pregnant! This story just blows my mind. And while they may be on strike from ever eating bacon again, I’m sure they can agree it was worth the try! The room was full of tears as dad caught his own baby and announced that they had a little girl. This was seriously the best way I can think of to have ended 2018. Thank you Mary and Keelan for choosing me to document this life changing moment for you guys. Cora is perfect. If you are looking for a CNY (Syracuse, Pulaski, Rome, Oneida, Watertown, Camden and surrounding areas) birth photographer - Inquire Here! 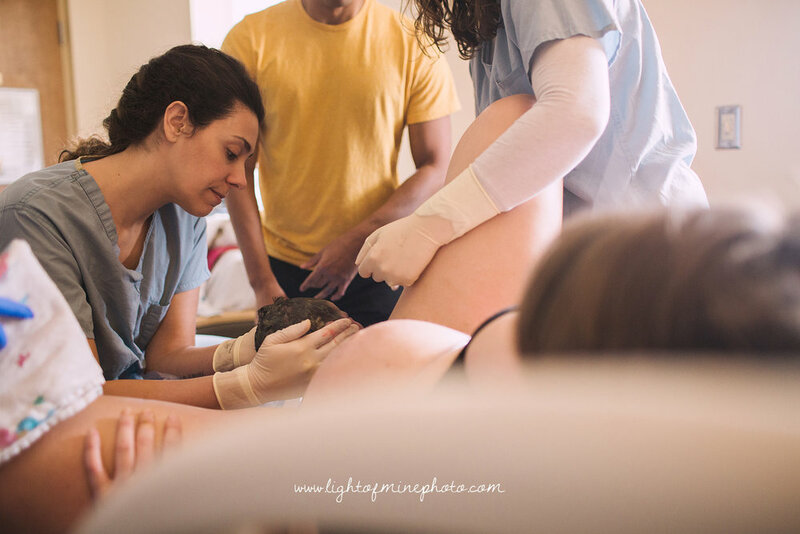 If you are looking for a family centered birth experience I highly recommend you checking out Syracuse midwives and St. Joseph’s hospital.